Derek’s Towing & Recovery provides quality towing & recovery and auto repair in Frederick MD. 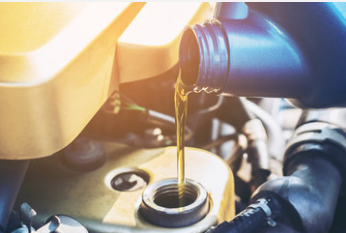 Our auto repair shop offers comprehensive auto repair services that include Oil Changes, Brake Repair, Preventative Maintenance, Heating and Cooling Services, Electrical Repair, Transmission Repair, Electronic Services, Engine Repair & Replacement. 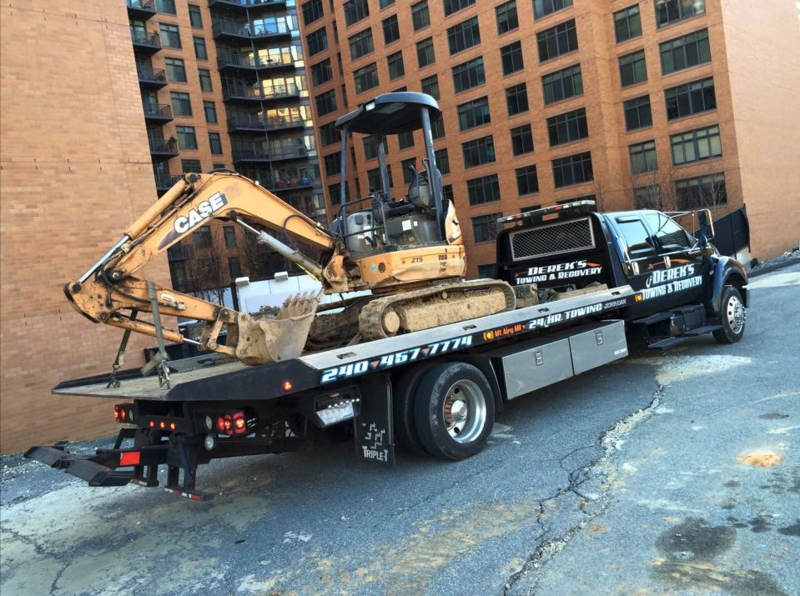 Call Derek’s Towing & Recovery 24 Hours a Day, 7 Days a Week for Heavy-Duty Towing & Accident Recovery, and Heavy Equipment Hauling in Frederick MD and surrounding areas, including Germantown and Gaithersburg. Our goal is to offer the best services available at affordable prices to get you back on the road in no time. Call us at 240-457-7774! 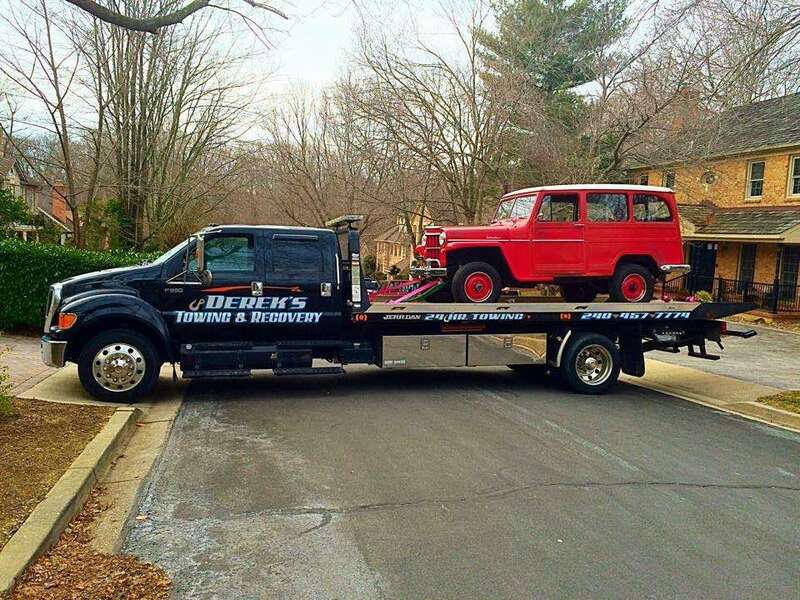 Rely on Derek’s Towing & Recovery for the best towing and recovery in Frederick MD. We service all of Frederick County and surrounding areas in Germantown and Gaithersburg. Our fleet of heavy duty tow trucks and wreckers service I-270, I-70 Rte. 15, Rte 40, Rte 355, Rte 85 and all surrounding roads. Derek’s Towing & Recovery proudly provides the best auto repair in Frederick MD! Stop into our Frederick auto repair shop for preventative maintenance, oil changes, brake repair, engine repair, transmission repair, exhaust system repair, fuel system repair, suspension repair, check engine light, battery replacement, tire services and more. Trusted Winching Service in Frederick MD. 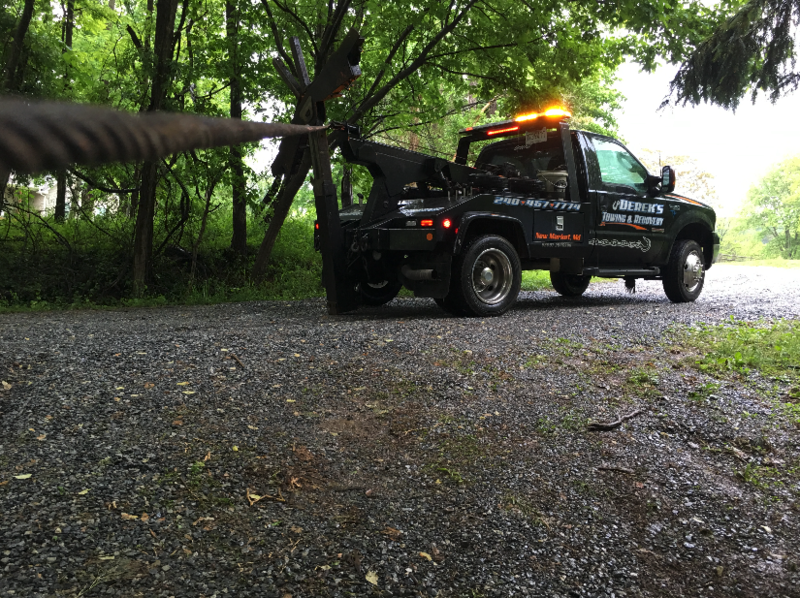 Derek’s Towing & Recovery is your source for quality and affordable 24 hour winching service in Frederick County, MD and surrounding areas. We are able to get your vehicle back on the road quickly with our winch cable recovery or wheel lift tow truck soft straps. 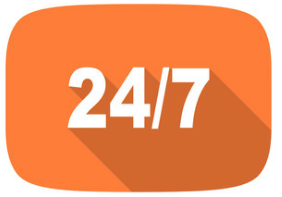 Derek’s Towing & Recovery is a 24 Hour Towing Service and Auto Repair Shop in Frederick MD. We are ready to go whenever you need us whether you require assistance changing a flat tire, towing your car to the shop, or equipment hauling from one job site to another, we can help you.We pride ourselves in providing you with the best towing & recovery and auto repair experience possible. With a large fleet of rollbacks, wreckers, service trucks, heavy-duty towing, heavy hauling equipment, and trained technicians, we are ready and able to take on any project regardless of its size or scope. Derek’s Towing proudly serves all of Frederick County, MD and surrounding areas in Montgomery County, including Germantown and Gaithersburg. Derek’s Towing & Recovery proudly provides some of the best heavy duty truck repair in Frederick MD. 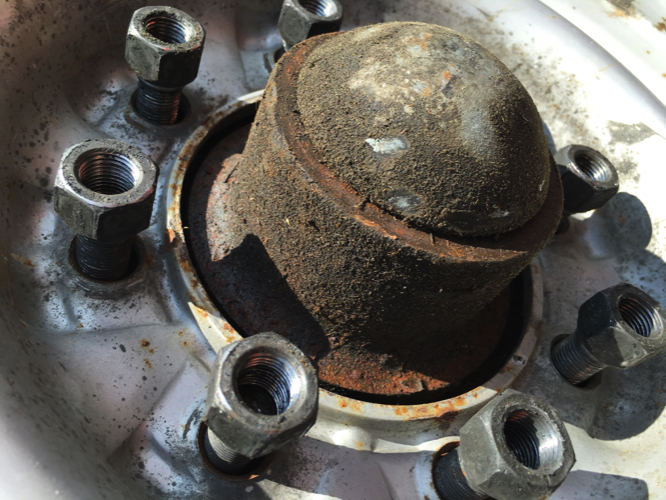 Come to our truck repair shop for trusted repairs, including: truck brake repair, truck engine repair and replacement, truck suspension repair, truck alignment, fleet service and repair. 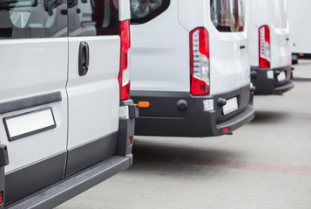 We service heavy duty trucks, RVs, buses, vans and more. Want the best oil change in Frederick MD for your car or truck? Derek’s Towing & Recovery offers fast and reliable oil and lube services in our Frederick MD auto repair shop. Visit us on Church Street in Frederick for a quick and affordable oil change. At Derek’s Towing, we offer professional equipment hauling for all types of equipment and machinery. If you have a piece of equipment that you need hauled to a job site, back from a project you just finished, or to a buyers location, rely on Derek’s Towing for reliable and affordable equipment hauling services. Derek’s Towing & Recovery provides full-service fleet maintenance and repairs. DOT repairs, customer required inspections, oil changes and more. We serve all of Frederick County MD, including: Frederick, New Market, Mount Airy, Middletown, Myersville, Thurmont. Derek's towing & Recovery also serves surrounding areas in Montgomery County MD, including Germantown and Gaithersburg. Derek’s Towing & Recovery, in Frederick MD, serves all of Frederick County and surrounding areas in Montgomery County, Howard County, and Carroll County with affordable and reliable motorcycle and ATV towing services. 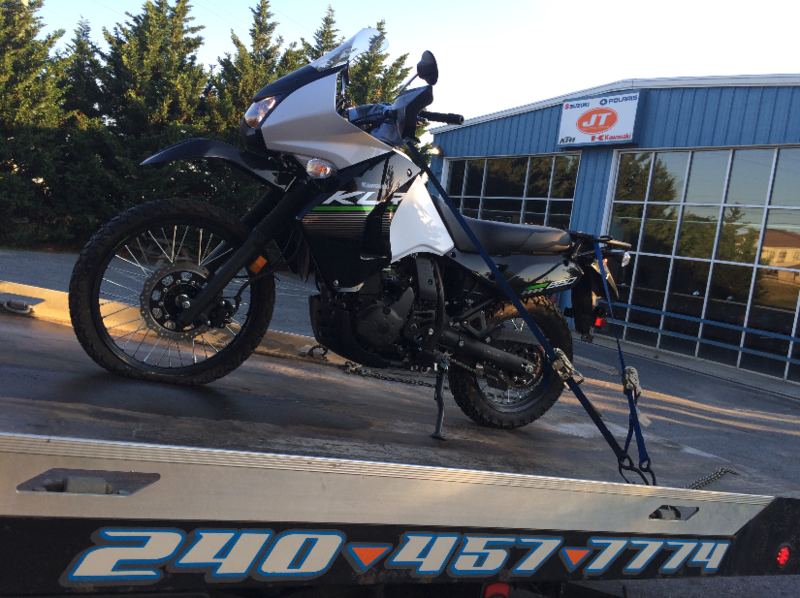 Call Derek’s if you need safe, secure and affordable motorcycle or ATV towing in Frederick. 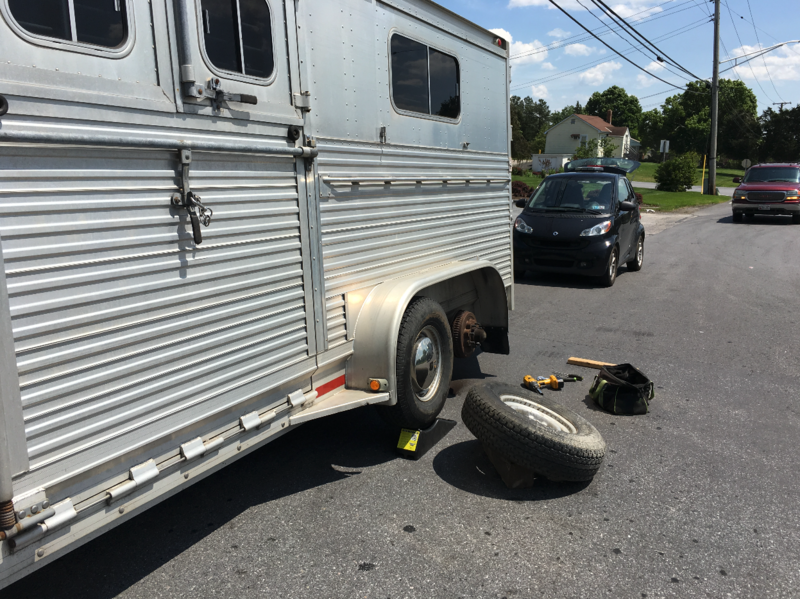 Need Trailer Towing or Trailer Repair in Frederick MD? Derek’s Towing & Recovery repairs and services Horse Trailers, Boat Trailers, Landscape Trailers, Auto Transport – Car Haulers, RVs, campers, and various other trailers. 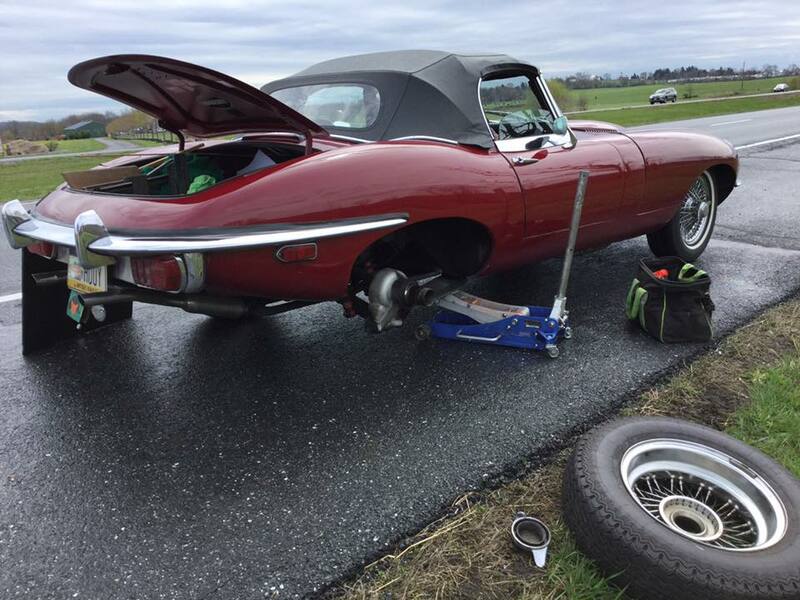 Call Derek’s Towing & Recovery at 240-457-7774 for reliable auto lockout service in Frederick MD. Locked Keys In Car? We Have You Covered! We service all of Frederick and surrounding areas in Gaithersburg and Germantown with quality auto lockout service. 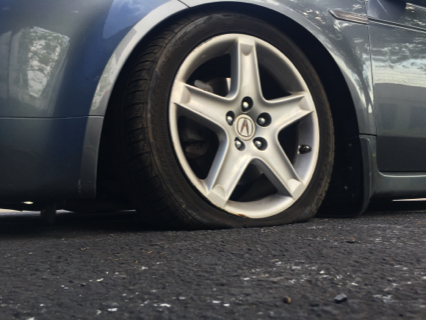 Derek’s Towing & Recovery is here for you in the unfortunate even that you have a flat tire or blow out. We provide fast service in our roadside assistance and trusted tire auto repair services. Stop in for tire and wheel balance, tire pressure monitoring system repair and more.